A Pontins holidaymaker claims she was ravaged by bed bugs in a filthy chalet and left with dozens of red sores all over her body. Leesa Dean said she suffered a blood infection and scars after being bitten by the insects which had infested the holiday accommodation. 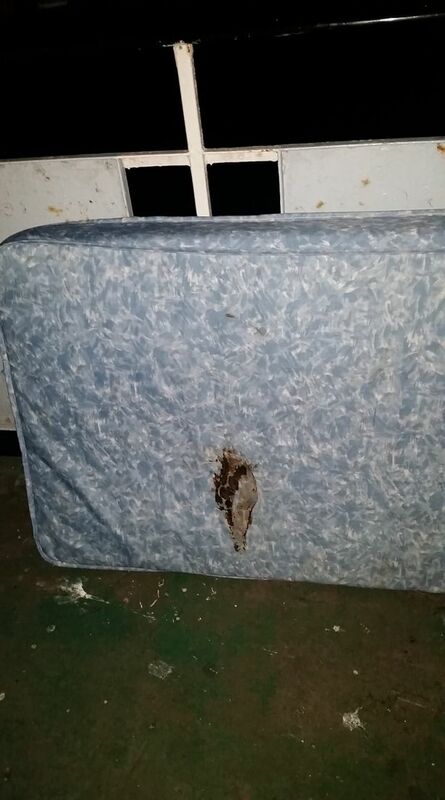 The 43-year-old mum claims the chalet at Pontins' Prestatyn Sands Holiday Park in North Wales hadn't been cleaned before she and her friends arrived. She told the Daily Record it was covered in mouse droppings, there was mould on the windowsills, dirty dishes were left in the sink and leftover rotten food was on work tops. 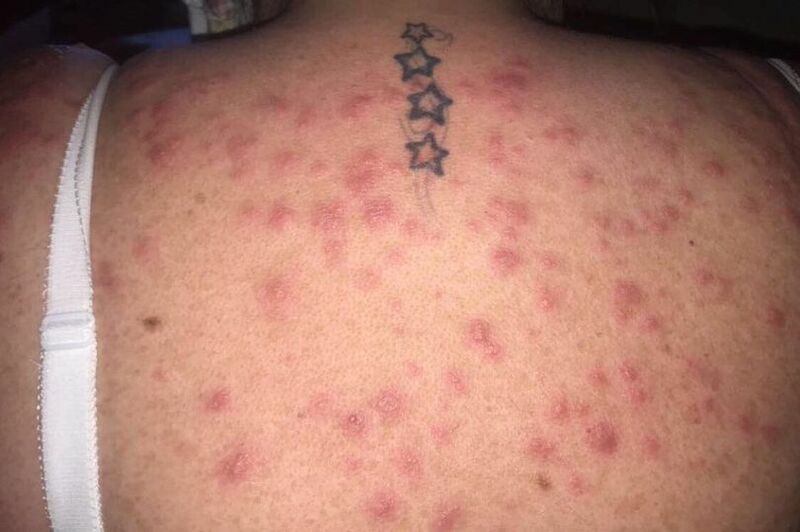 Leesa, from New Cumnock in Ayrshire, has shared photos showing her arms, back and neck covered in what she claims are bed bug bites suffered during her £1,277 stay in May. 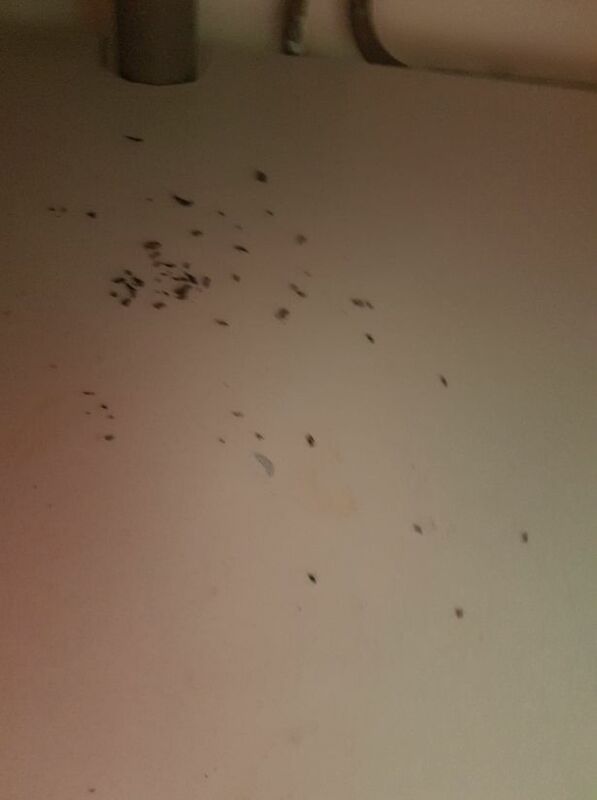 Other snaps she claims are from the chalet show mouse droppings on the floor, rotting bananas and a stained mattress. Leesa said: “I was shocked at the state of the place and it was pretty clear it hadn’t been cleaned for our arrival. “It was absolutely disgusting. I complained to reception but was told there would be no cleaners on the site until the following day. “Our only option was to go to a nearby supermarket to buy products and scrub the place ourselves. Leesa claims she began to feel unwell over the next couple of days and then broke out in a rash. 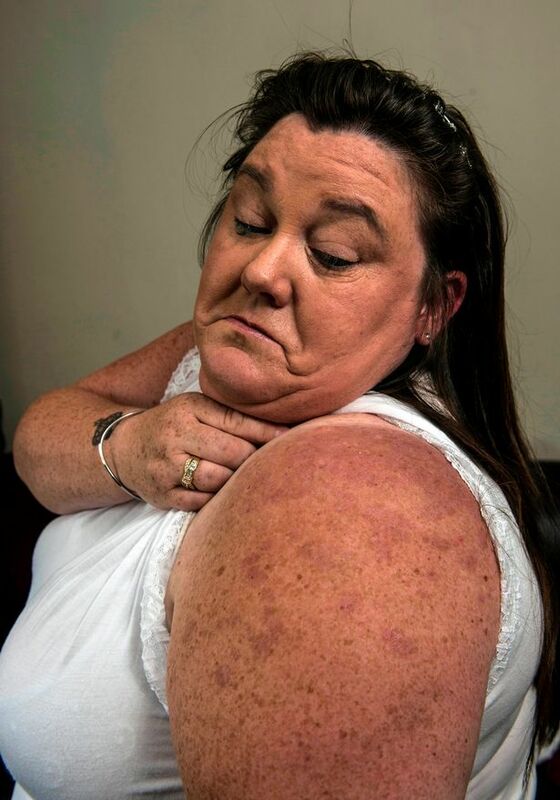 She said she feared it was an allergic reaction to something she had eaten but, by the time she was checking out to go home, she was covered in bite marks all over her back, neck, shoulders and groin. Leesa added: “I’ve never encountered bed bugs before and the journey home was horrendous. “I had to continuously stop the car to be sick and apply cream to sooth my arms and shoulders, which were on fire. “Thankfully, I managed to get an emergency appointment with my doctor because I was in agony. “By this time the marks were all over me and I was so distressed. “After blood tests and an examination, I was told I had come into contact with bed bugs and that can only have been from the mattress I slept on while on holiday. A few days later Leesa returned to her doctor and was told they had caused an infection in her blood, she said. She said was given steroid cream and put on a course of strong antibiotics, and says she has been left with scarring from the bites. Leesa added: “W’ve been to the camp several times over the years and I’ve never experienced anything like this. “We know it’s not a five-star luxury resort but I still expect it to be clean. We paid a lot of money to stay in a filthy apartment. Leesa claims the experience has left her feeling depressed, anxious and ashamed of her appearance. She said: “I can’t show off my shoulders or back because I’ve been left with scars. I feel disgusted at how I look. Leesa complained to Pontins and claims she was told the company had carried out a full investigation, as well as having a pest control firm to spray the rooms. She said the firm told her there was no evidence of bed bugs. Leesa added: “I’m angry at the way I’ve been treated. I haven’t so much as received an apology. “Pontins refuse to accept any blame for what they have put me through. I feel the very least I deserve is a full refund.